Forget hot cross buns and chocolate eggs – a cafe has gone above and beyond to create the ultimate Easter dessert that’s set to make your taste buds dance. Foodies can order the epic deep-fried egg, which comes in a delicious twist after Sydney’s Milky Lane combined three iconic Australian products. 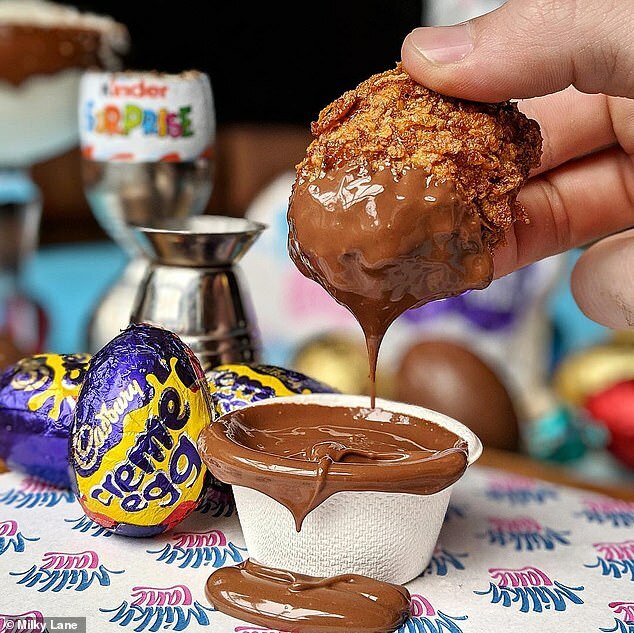 The chocolate overload dessert includes a Cadbury’s Crème Egg coated with Crunchy Nut cornflakes and a Nutella dipping sauce. The Easter-themed dessert will be available on the menu at all six cafes in Sydney and Surfers Paradise over the Easter long weekend, between Friday, April 19 to Monday, April 22. The limited edition egg will be served hot straight out of the deep fryer with gooey chocolate in the centre when you crack into it. 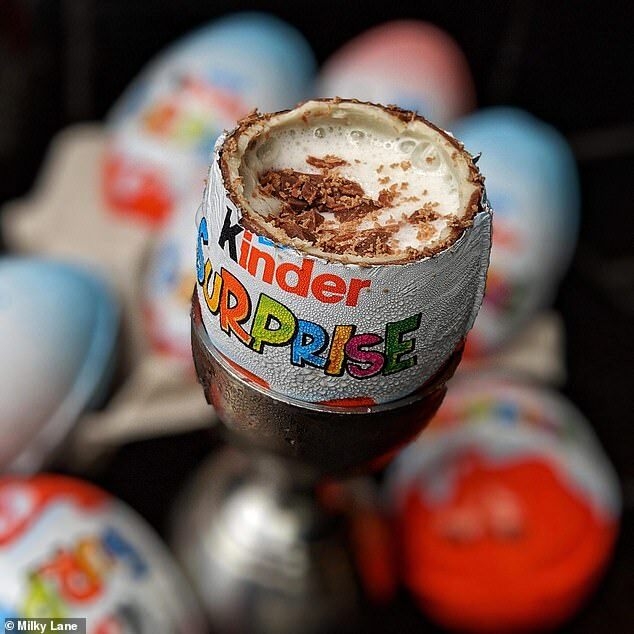 The creation has sent foodies into a meltdown after a photograph showing someone dunking the crispy egg into Nutella sauce attracted more than 4,700 comments. ‘This is literally what my dreams are made of… I need this in my life,’ one said. ‘OMG! Shut up and take my money,’ another said. However, not everyone seems impressed with the quirky creation. ‘My goodness what else can be deep fried. This is madness,’ one said. 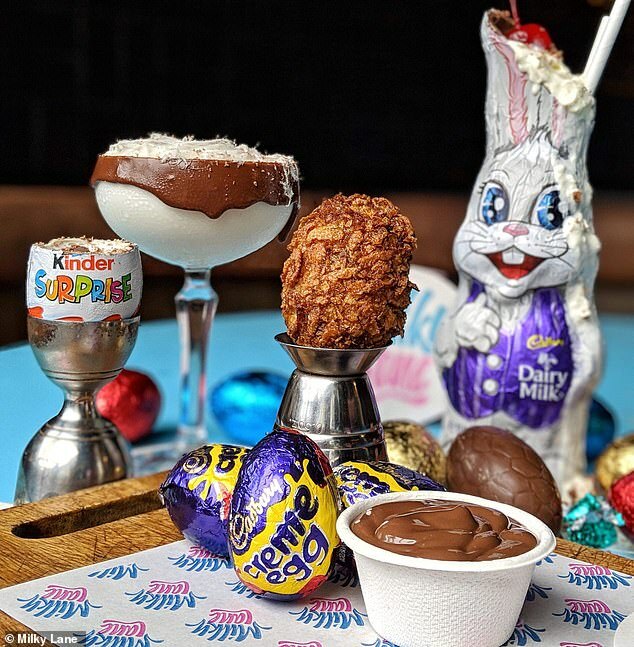 If deep fried chocolate eggs don’t tickle your fancy, the cafe will have an Easter-themed menu, which includes the Kinder Surprise shots filled with Baileys. ‘You didn’t really think we’d forgotten about Easter did you,’ Milky Lane said.